The rising stars of British circus harness the power of collective memory in Throwback: a love note to nostalgia and the things you can’t forget. 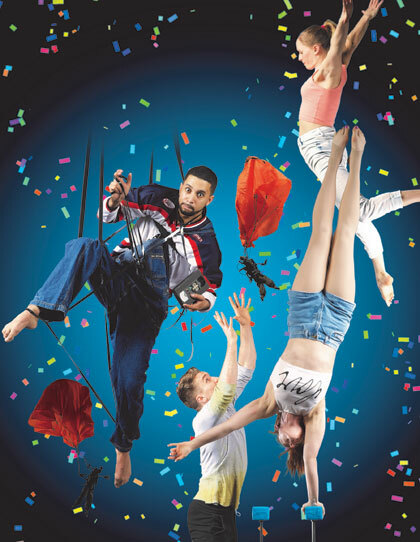 With impressive aerial and acrobatic work, the UK’s most exciting young troupe team up with acclaimed West End director Paulette Randall to tell stories that are honest, emotional and absorbing. Silver Lining blends friendship, awesome skills and infectious energy. 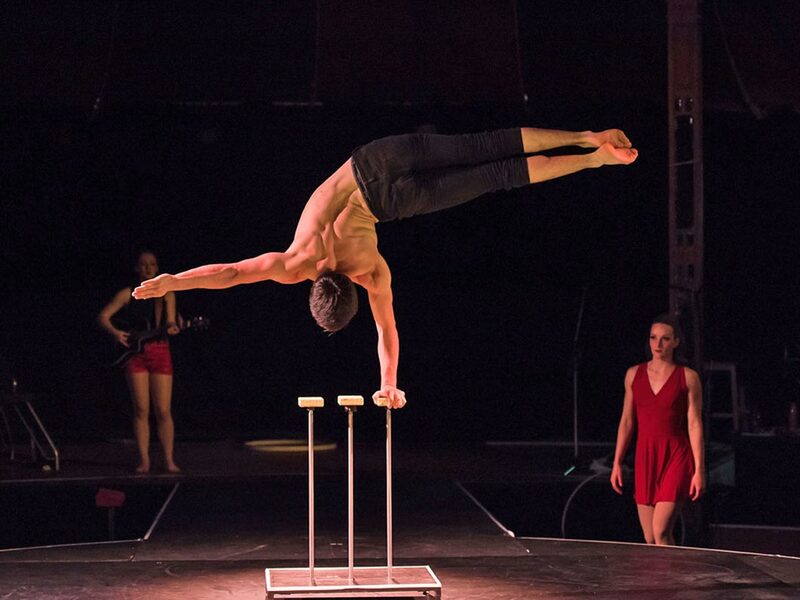 Its young artists balance, hang, sing, fly, catch, spin and throw their way through this fast-paced, feel-good new explosion of physical skill and fun - a huge success at the 2016 Edinburgh Fringe. Soon they’ll be off to conquer the world – catch them while you can! "There’s a lot of eloquent, expressive circus around at the moment: body-poems. Silver Lining’s production has its moments of poetry and poignancy too, but it’s also full of youthful energy and verve – circus with a smile on its face." 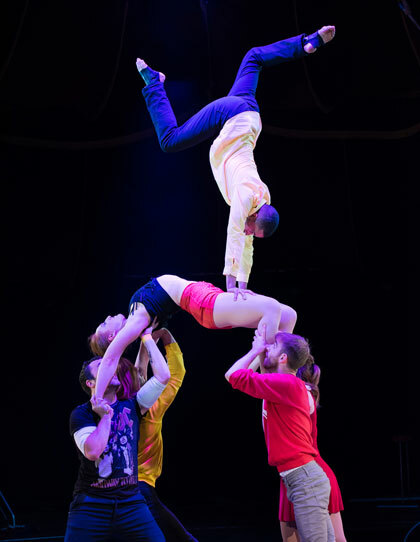 "Brimming with youthful energy and hypnotising artistry… truly disarming showmanship"
"An absolute joy to watch"
"top-quality circus re-imagined for a modern audience."